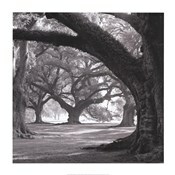 The sight of nature can be the right way to add a fresh touch to a room - black and white photographs of oak trees can create an almost melancholic but gorgeous look to a wall in a study, living or meeting room, and pictures and posters of oak trees in many different forms can show a certain appreciation for nature, art, and the serene sights of the natural world. 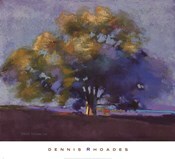 Photographs of oak trees in black and white or in the color of the tall trees can display them in broad copses or sitting on the horizon with rays of light filtering in - while related scenic panoramas of nature, displaying a broad horizon line of trees and foliage, can add a dash of natural mystery and allure to a wall. 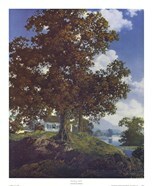 From colorful paintings of oak trees to posters of nature these works of art - where the subject is that of nature, that of the oak tree - should be placed carefully to not add their somber beauty where it does not give quite as apt a fit. The work of skilled photographers or painters is one that can inspire deep thought or appreciation - and the rooms in which they are placed should reflect as much. 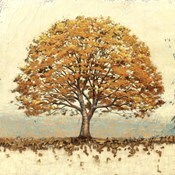 Even better might be placed near a window to allow a glance of oak trees at any time of day, or hanging up on the wall of a dining room or study to lend its own somber elegance to the atmosphere of the area.